It might prove a bit more difficult to "catch 'em all" this time around. If you're the type of Pokemon Go trainer who takes the "gotta catch 'em all" mantra to heart, then you might need to pack up and go on a proper Pokemon adventure this time around, it seems. Two of the pocket monsters — Heracross and Corsola — appear to be region-exclusive finds. Those who have been playing for a while will likely remember that Gen 1 had its share of these with Kangaskhan, Tauros, Mr. Mime, and Farfetch'd, but, while those had pretty clear places they spawned around the world, the nature of these new entries is a bit more vague. Luckily, the internet is filled with people who can work out just about anything when working together. The fine folks over at TheSilphRoad subreddit seem to have narrowed things down a fair bit. 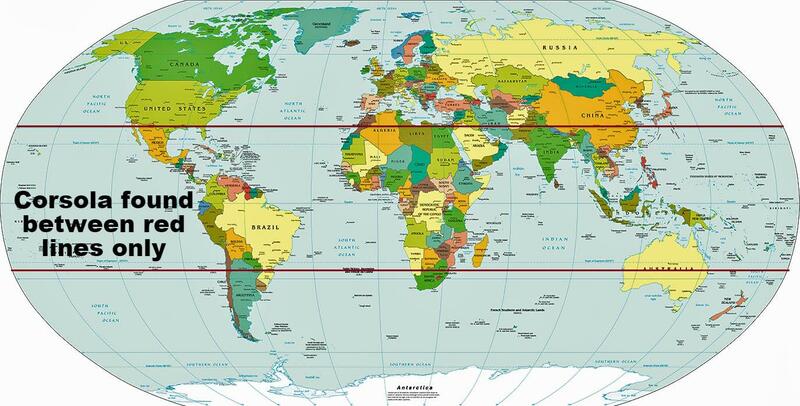 If you check out the map above you'll see two lines running across the globe. The top one is referred to as the Tauros Line, referring to the marker for where the titular pokemon begins spawning. So far, it seems that anywhere below that line is fair game for Heracross to spawn. Corsola, on the other hand, only seems to spawn between those two lines. The lines aren't exact, obviously, but it's definitely a helpful resource. For the most part, those in the U.S. seem to be out of luck, unless you're living way down south. Good luck out there, Pokemon Go trainers!